A clean, more modern interface that allows for quicker Net Sheets with fewer keystrokes. Real time results as you prepare a Net Sheet. Streamlined screens separated by estimate type: Seller's Net Sheet, Buyer's Cost Sheet and Loan Estimate/Premium. Automatic county assignment based on the property city. Professional, one-page summary document, with an optional itemization view. Created as a PDF, it allows you the flexibility to print, download and save or email. 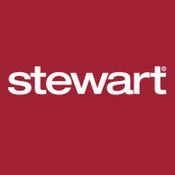 As a Stewart Trusted Provider™, if you have placed the rate calculator on your web site for a more custom experience, we’ll also personalize the results with your logo and the Stewart Trusted Provider logo. Consistent with other SRC tools, but new for the Buyer/Seller Net Sheet, an integration with Ernst for more accurate recording fees and transfer taxes.